With the public folder, you can conveniently share files stored in your computer on the network. Whatever files that are stored within the folder will be shared with other users on the network. Everybody who has access to the public folder will be able to see and get updates for all the files that are being shared. 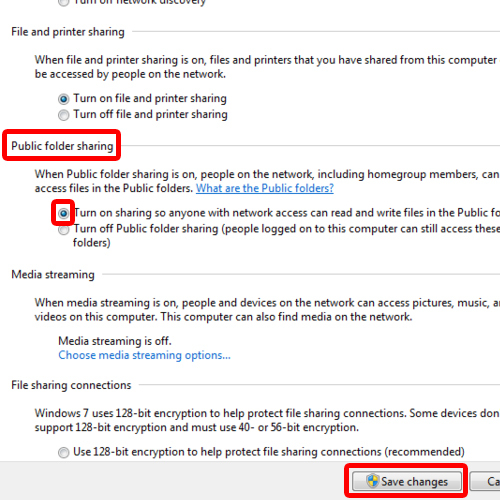 In this tutorial, we will guide you on how to do public folder sharing. To share a public folder, first of all, you will have to open up the control panel. For that, open up the start menu. You can do that by either click on the start menu icon located towards the bottom left corner of the screen or by pressing the windows key on your keyboard. 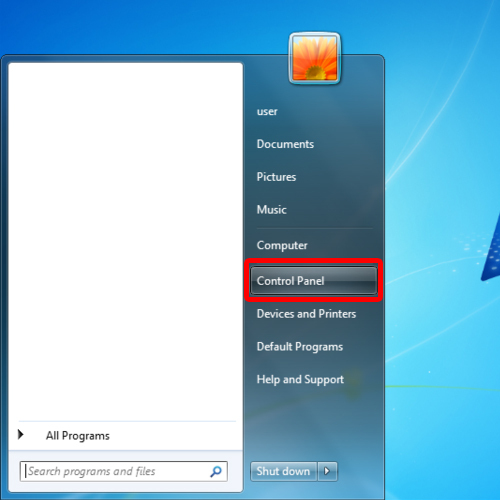 With the start menu opened up, click on “Control Panel”. Once the Control Panel window opens up, all the computer settings will be displayed to you in sections. Over here, we have to open up the network and sharing center. 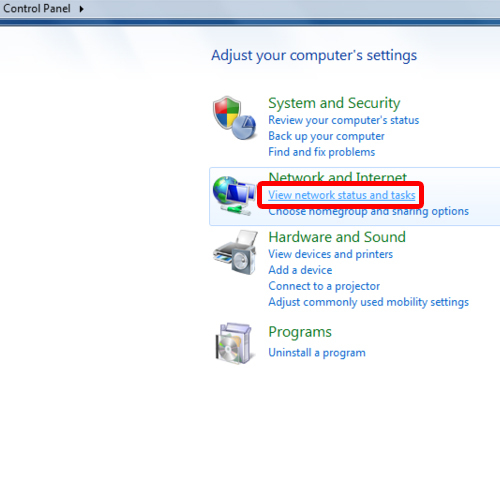 For that, move to the network and internet category and click on the “View network status and tasks” option. This will open up the Network and sharing center. 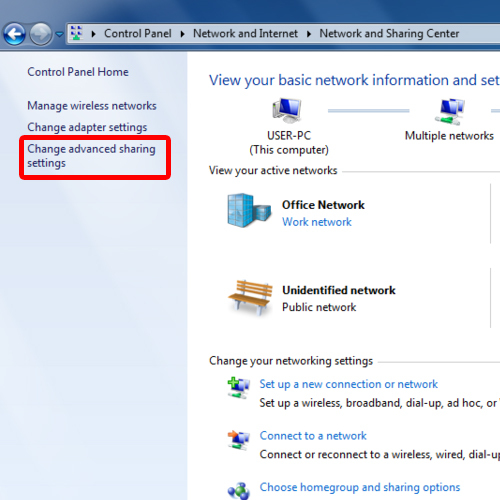 With that done, click on the “Change advanced sharing settings” option located towards the left side of the screen. 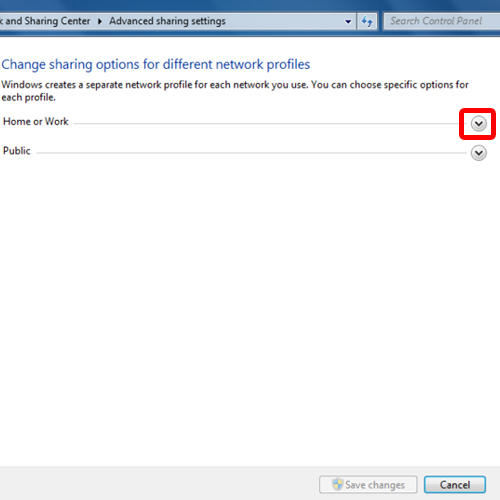 With the advanced sharing settings window opened up, two groups will be displayed to you. The home or work group and the public group. Over here, expand the “home or work” category and a number of options will be displayed to you. From the many options, move over to the “Public folder sharing” section. Over here, select the turn on option so that anyone with access to your network can read or write files located in the public folder. When done, click on the “Save changes” button present at the bottom to save the changes made and exit. And that is how you can share a public folder.